Villa 178 is located in the South of France. It is only a 10 minute drive from Cagnes sur Mer (near Nice). There is an international airport at Nice. 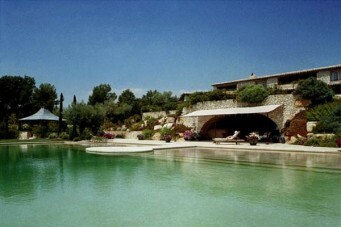 Villa 178 is a luxury villa located in the South of France, in the hills of La Colle sur Loup. It is a breath taking stone-built Provencal property with 1200 sqm of living accommodation. Up in the hills, it offers magnificent panoramic sea views and is only a few minutes drive from the famous village of St Paul. This 10 bedroom mansion can sleep up to 20-22 people. It is furnished to the highest standards and has an elegant and homely ambience created by soft colours . The lower floor has a cinema room, pool table, sauna and Moroccan hammam. There is a corridor that leads out to the pool with a great sitting area including a bar, music system and kitchenette. The pool is very large (15m x 25m) and also offers superb views. The garden is a very special feature of the property being 82,000 sqm in size! There are lavender fields, olive and pine trees, green oaks and plenty of flowers. There is also a gorgeous little path that leads through the woods to the tennis court, lake and water fall. There are 8 bedrooms plus 2 guest house bedrooms at Villa 178. The 8 bedrooms in the villa consist of 5 twin rooms and 3 double rooms which all have private ensuites. Four of the bedrooms have a terrace with panoramic sea views. Both the guest house rooms are double bedrooms with bathroom. The weekly rate of the villa includes live-in guardians for 8 hours per day, five days per week. Gas, telephone, and water charges are extra and must be paid before departure. The security deposit is 25% of the rental fee, and there is a 10% surcharge for bookings under 14 nights in length. This property has an enormous pool (15 m x 25m)which can be heated at an extra charge. There is also a private tennis court. With the villa being so close to the coast (10 minutes)there are plenty of beaches to be enjoyed and lovely French restaurants and cafes to relax in.